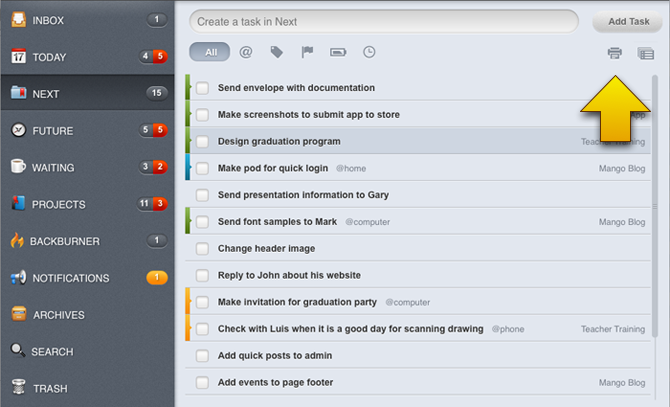 Conqu is a simple yet powerful task management tool designed to help you conquer your inbox and get things done. Recording one task at a time is easy for any application. We have built Conqu to enable power users like project managers to input many tasks quickly and not skip a beat. Quick add sits at the top of every screen like a fleet of fighter planes just waiting to be scrambled on a moment's notice. 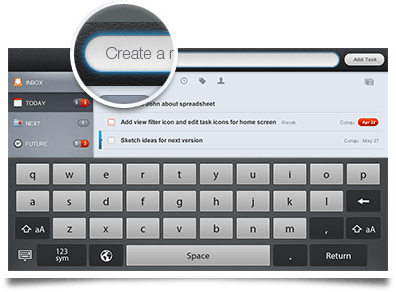 Tap to focus the field and the onscreen keyboard stands at attention. 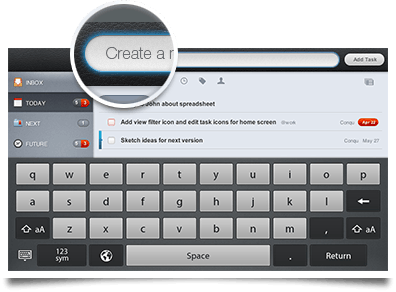 Add your task title and hit enter on your onscreen keyboard and kapow you just added a task. No more Pogo'ing between add screens and main screens. Tags are what you make of them, plain and simple. Some users can live their entire lives inside a GTD app and only use tags. 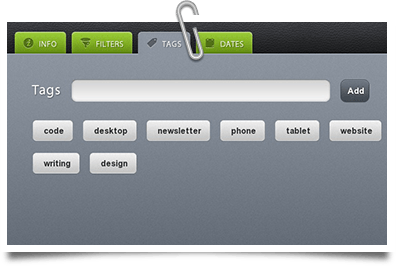 Tags help you get organized and find what is important to you. 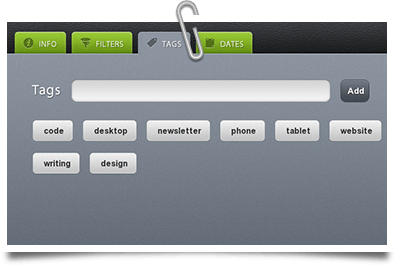 Unlike many other filters in Conqu, you can assign as many tags as you see fit to organize your data. When you are a busy person with lots of responsibilities you live by the calendar. If you are a live-by-calendar type person you will delighted to know that Conqu has both Due Date and Scheduled Date calendar pickers. Scheduled dates are for setting up tasks that don't need to be started until later. When a task is scheduled to start, you get a reminder so you can put it out of your head for now, and start focusing on what really matters. Adding due dates to tasks greatly increases your efficiency with a GTD app like Conqu. As items with due dates surface, they appear in your Today screen reminding you that these items are due. If you miss a due date, you get a red warning pill letting you know that there are items in your list that need some immediate attention. When you work in a collaborative environment, notifications give you an insight as to what's been happening within your group. With notifications you can see when delegated tasks have been completed, or when you have been assigned a new task. Notifications also alert you when there is a problem like an invalid password or a problem synchronizing with the ConquSync server.